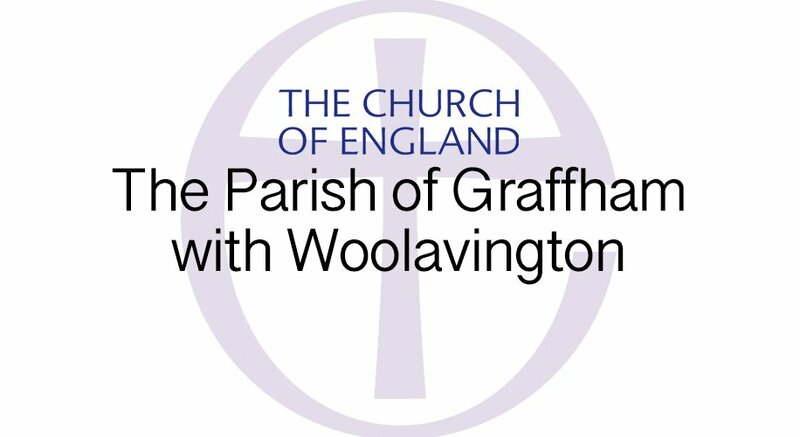 The twelfth-century church of St Giles Graffham was redesigned in 1874-5 by Victorian Architect G. E. Street as a memorial to Bishop Samuel Wilberforce, owner of Lavington Park and son of the anti-slavery campaigner William Wilberforce. 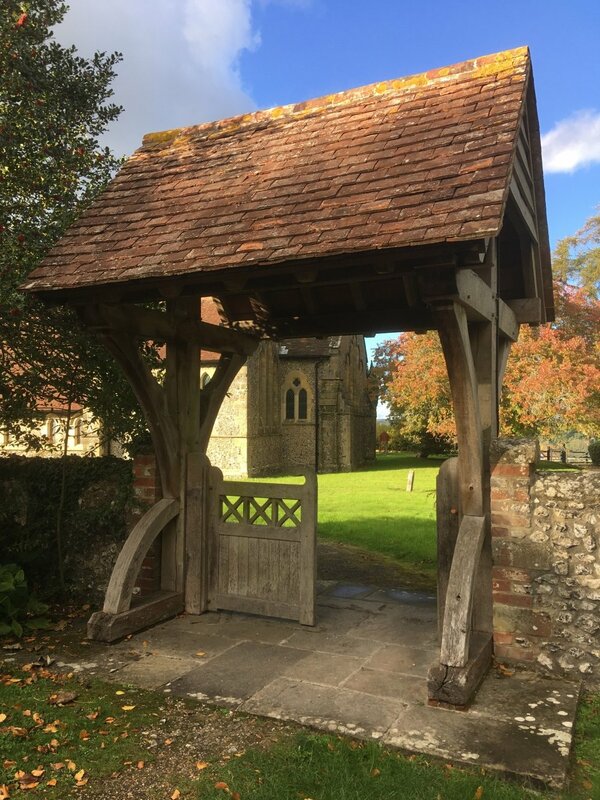 Our lychgate stands at the South entrance to the churchyard. It was built to celebrate the Millennium and is constructed in natural oak. The exterior of the church today is of knapped flintwork, the spire being covered with Sussex shingle. Entering the Church, the nave is flanked by two transitional Norman arcades with square, multi-scalloped capitals. These date from the late C12th. The font is a plain, lined tub which predates the arcades. It is similar to those in other, pre-Norman Sussex churches and is probably Saxon. The base and plinth are also ancient. Some other notable older features in our church include the arch to the West doorway, which is probably C14th, a piscina, now in the vestry but presumed to be moved during the restoration and the lock to the vestry door itself, also probably C14th. The chancel was completely rebuilt in 1874. The arches on the South side are copies of those in the Nave, dating only from the Victorian rebuilding. The South Chapel is also a Victorian addition. 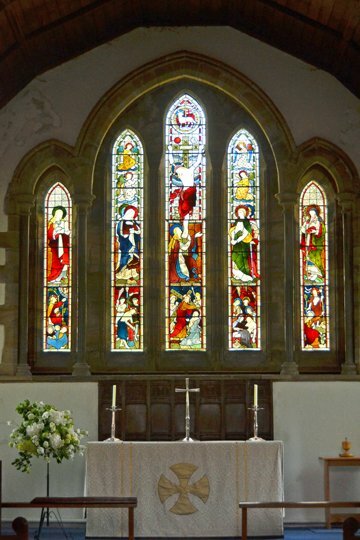 All the stained glass in our church, dating from 1874 is from the Victorian glass factory of Clayton and Bell. The East window comprises five lancets under triple rear-arches and portrays the story of the Crucifixion, the centre lancet showing Christ on the Cross with Mary at the foot. From left to right across the bottom of each lancet you can see Christ in the Garden of Gethsemane with sleeping disciples, the Flagellation, Christ bearing the Cross, the Entombment and the Resurrection. Stained glass in the East window of the Chapel shows the Resurrection, Ascension and Pentecost. The window at the West end of the church at the end of the South aisle near the South Door was donated to the church by the parishioners of Graffham. It illustrates the Old Testament story of Samuel. The black eagle with beak and claws in the small pane above is the coat of arms of the Wilberforce family. Our church tower dates from 1887 when it was rebuilt by architect Arthur E. Street, son of G.E. Street. Three of our bells date from this time and these were augmented by three more in the 1980s giving us a peal of six.